If you have a lot of users – either Internal or Community users – and if you have a very active instance of salesforce – you are probably leveraging Public Groups and Chatter Groups extensively. As you create more of these Public Groups or Chatter Groups, it becomes tougher and tougher to manage adding users to these groups as you provision new users or as new groups are created. Wouldn’t it be better if you could automate this – so that when a new user is added – or modified – they are automatically added to Public Groups and / or Chatter Groups? To do this well, you’d need to be able to establish criteria and build a rules set that would determine which Public or Chatter Group a user should be added to based on the criteria of the User (or if they are a Community User – even the attributes of their Account / Contact). This is one of the new use cases that BREeze is built for. Leveraging a few new features in BREeze 3.0, you can build a rules set – similar to the way standard assignment rules work – to automatically add Users into Public Groups and / or Chatter Groups. Once you build out all of the rules with their criteria, each time a User is created or updated, the user’s record will be entered into the rules set and each rule will be applied to the User record. Any rule that is true based on the criteria, will be processed. From within the rules, you will be able to determine if a user is added to a group, or even dropped from a group. Now, take the same rules set and let’s pretend we have a Partner Community User that is modified in that the Account Level is downgraded to a Silver Partner. Leveraging the same rules set, we would add the user to the Silver Partner Public Group but at the same time, remove them from the Gold Partner Public Group as now rule 2 is true, but rule 1 is no longer. This user would already be in the North American Public Group and the Partner Announcements Chatter Group, so those rules would be ignored. The example above is a pretty simple example, but when you start to add a lot of users you could be trying to maintain 25+ Public Groups and Chatter Groups. Let BREeze automate this for you. To do this, BREeze is leveraging pre-built functions that we’ve created to Add / Remove users from Public Groups or Chatter Groups, and then the rules set is built entirely on the BREeze platform. 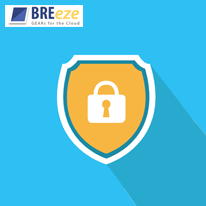 You also have all of the features of BREeze – like rule testing and stamping, the ability to process rules on insert, edit or even in a batch, and the ability to further extend the complexity of your rules with additional custom functions – to make the management job even easier. For more information on pricing about the leading force.com based rules engine or if you’d like to see a demo, please fill out our Contact Us and we’ll get right back to you. BREeze – Any field. Any object. Any time.